This year to mark Dún Laoghaire Rathdown County Council’s Festival of Inclusion, the Social Inclusion Unit are holding a Primary Schools Drawing Competition. 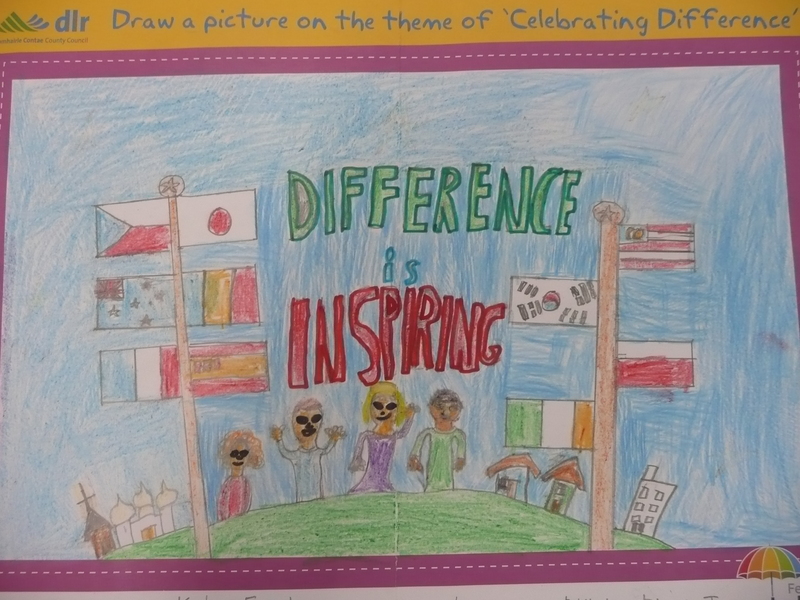 The theme of the competition is ‘Celebrating Difference’ and we here in 3rd Class are tremendous at doing just that. Our entries for the competition are amazing as you can see. They will be on public display in County Hall from the 10th to the 14th October as part of the festival.